Former Manchester United midfielder Morgan Schneiderlin has admitted losing the joy of football while he was at Old Trafford. The French star left the club during the winter window and he seems to be finding his feet again at Everton under manager Ronaldo Koeman. Schneiderlin made a big-money move to United from Southampton. He started well under Coach Louis van Gaal but he was dropped outright under Coach Jose Mourinho – a move than almost wrecked his career. He revealed that his love for the game dwindled as he rarely played until the move of his former boss Koeman. “I did lose my joy of football a little bit because when you don’t play, you don’t play with freedom and everything is very hard. Since I’ve come here the manager knows what I’m all about. He placed confidence in me in the past and he has done so again. “It’s a joy to work with him every day. He knows how I want to play, he knows my strength and it’s a case of him giving the best product, if I can say, to be the best player I can. I’m very happy to find this joy of football again and hopefully it will carry on for me,” Schneiderlin said. The player added that their focus is to catch United in the race for the top six as the season winds down. “We’re going to try the Europa League for sure. 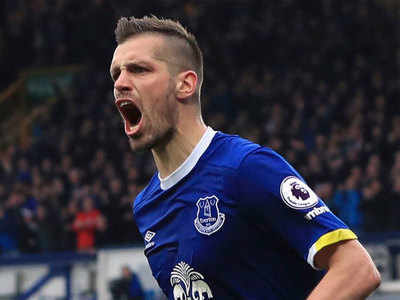 The seventh place could still qualify us, so we are going to try to maintain this seventh place and be in Europe,” Schneiderlin added.